Includes 7 courses for $299/year. 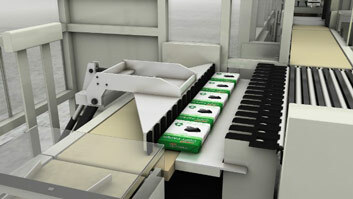 A stretch wrapper applies several wraps of film around the palletized product. Damaged pallets should be repaired before being used. 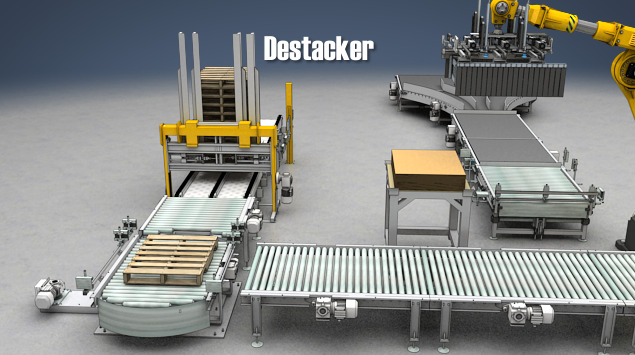 A destacker feeds individual pallets to the palletizer. 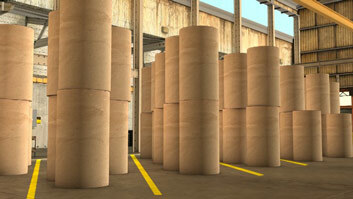 "Palletizing" is the process of arranging and stacking products onto pallets in preparation for bulk shipping. 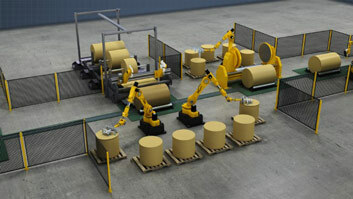 While palletizing can be done manually, this task is often performed by a machine called a "palletizer." 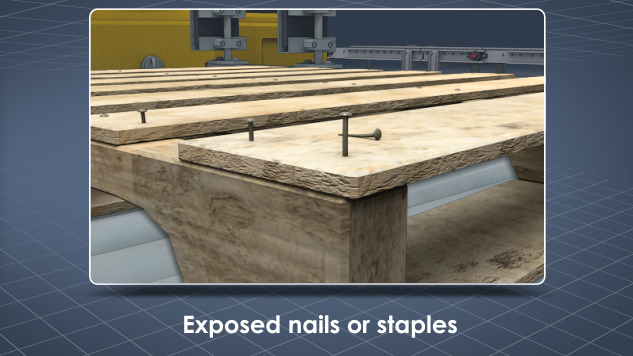 This module describes the basic steps in the palletizing process and the functions of common palletizing and wrapping equipment. Are all pallets the same size? No. 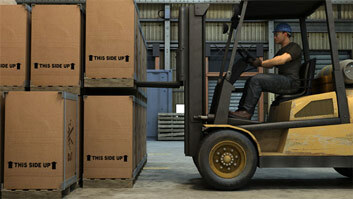 Pallet sizes usually vary by industry, but typical the length and width is typically 40-48 inches. 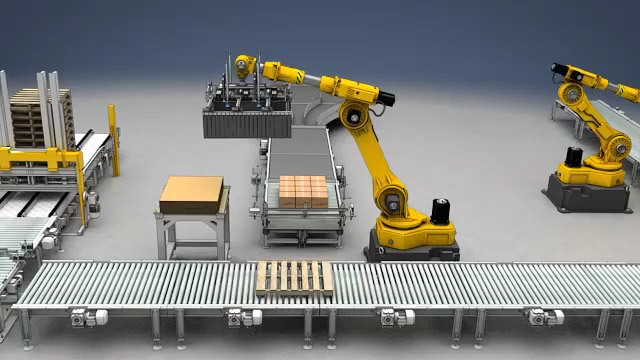 A palletizer automatically layers and stacks products onto pallets based on specifications from programmable software. 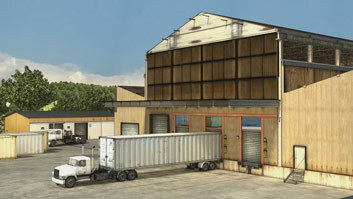 A destacker takes individual pallets from a stack and supplies them to a palletizer. What is a tier sheet? A tier sheet is a sheet of fiberboard, paper, or plastic that is placed between layers to improve load stability and protect products during shipping. 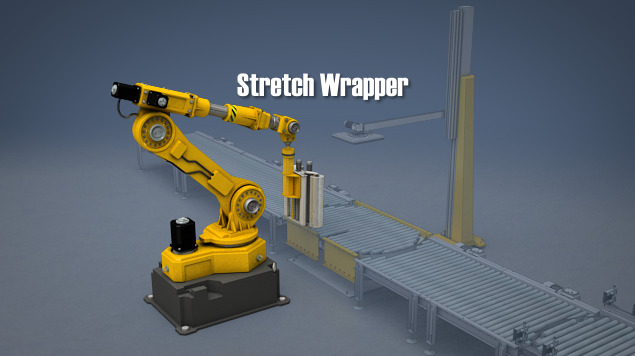 What is a stretch wrapper? The stretch wrapper applies several wraps of clear, stretchy film to provide additional stability and protection so the load can be easily moved and shipped as a unit. A palletizer automatically layers and stacks products onto pallets based on specifications from programmable software that takes into account the product dimensions and weight for optimum use of pallet area. A loaded pallet is then moved by a vehicle or conveyor to a stretch wrapper that secures the products to each other and to the pallet with layers of clear film. The palletized products are then labeled and ready for shipping.